On December 16, the International Space Station ran a test of the Predetermined Debris Avoidance Maneuver (PDAM) system. The test resulted in a 2.5 km boost of the station, the altitude needed for Friday’s upcoming crew docking. PDAM is designed to be an emergency response measure, providing boost capability as little as 140 minutes before a predicted debris impact. 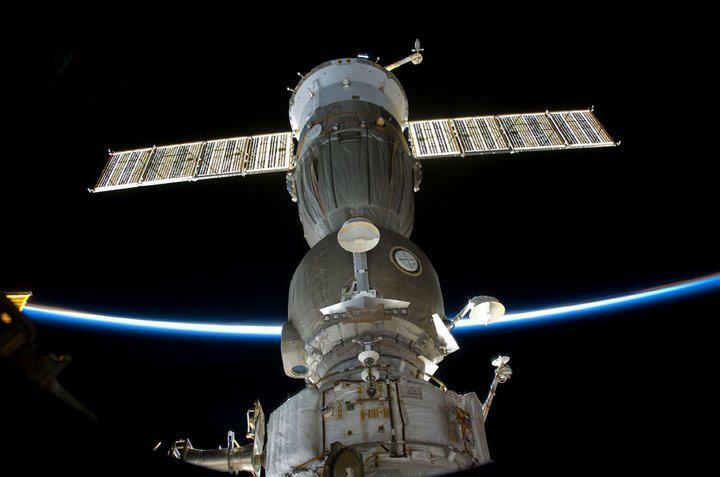 The system would provide an alternative to the current practice of having crew shelter in their Soyuz capsules when there is insufficient time to avoid incoming debris. The test was originally scheduled for December 13, but an inadvertent delay in securing the gimbal assemblies that rotate ISS’ solar arrays resulted in a missed test window. A partial test of handoff procedures was achieved at that time, allowing for a preliminary test of the Russian cyclograms – a method for managing a sequence of machine-automaton operations – that control the propulsion pulses and yaw bias. The test went off without a hitch on December 16, taking place almost entirely within range of Moscow’s mission control to give them access to data from Progress’ engines during the burn. In a real emergency, the maneuver would not be subject to such a constraint; even for the test, NASA was prepped to monitor the PDAM as a backup if needed. PDAM is intended to replace the current DAM – Debris Avoidance Maneuver – system. DAM requires a decision to conduct the designated maneuver more than 20 hours earlier than PDAM. The decreased lead time should give ISS mission controllers much more flexibility in protecting the station from incoming debris.